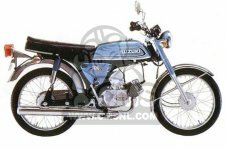 We are one of the leading suppliers for Suzuki motorcycle parts! Though engine is the soul of your motorcycle, it is spares and parts that contribute to the smooth ride. Sometimes it is not just about looks but it is about keeping your bike in a perfect working condition that matters a lot. Safety of the rider is most crucial and if your bike is upgraded with quality parts then it will definitely work in your favor. Explore all vital Suzuki motorcycle parts required for your bike here at CMS. The range includes items for Suzuki GS550, Suzuki Intruder 800, Suzuki GSXR 1000, Suzuki A100, Suzuki Katana etc. We have an enormous selection of bike parts that will keep your vehicle running smoothly! For many years, motorcycle owners have relied on expertise and products of CMS to keep running their bikes in superior condition. Whether you are taking your motorcycle for extended trip or just a weekend ride, we have right items to improve comfort of your ride. 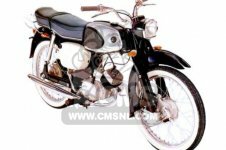 Purchasing Suzuki motorcycle parts at quality online store like us will ensure the adaptability and growth in efficiency of your vehicle. We want our customers to be always satisfied and that's why we always believe in offering them what they have always dreamt of. We offer most accurate and updated information on latest bike parts. We feel proud in displaying our meticulous product range thereby bridging the gap between global buyers and prominent Suzuki motorcycle parts suppliers. Customer can filter down their search by entering a specific model or part number in our product search tool. We launch occasional deals on our products. You can check out our current offers on respective pages and take an advantage of hefty cutback in product prices. Spend some time on glancing through our typical selection of products to know why they are worth buying.